There is not one set amount of time that everyone should keep every tax record. Instead, the amount of time you should keep your tax records depends on what the specific document supports; the IRS suggests that taxpayers keep tax records as long as there is an open timeframe to amend the tax return, and that amount of time depends on what the return includes. Three Years: Keep tax documents for three years from the date of filing the return; this is the amount of time in which the tax return can be amended, so keeping the supporting documentation is important. Four Years: Employment tax records should be kept for four years after the date in which they are paid or become due. Six Years: This is the suggested amount of time to keep tax records for a return in which there is unreported income. Seven Years: Tax records should be kept for seven years when you report a loss from worthless securities or take a deduction for bad debt. Indefinitely: The IRS suggests that tax records should be kept indefinitely if you have not yet filed the return which the records support, or if you file a fraudulent return. Does Owning Rental Property Help You on Your Taxes? Further special circumstances can apply to tax records. For example, records pertaining to a piece of property should be retained until after the property is no longer in your possession, and even then the amount of time you hold on to the records depends on myriad circumstances. In this instance, it may be best to speak with a tax professional to help you decide what you should hold on to and for how long. When it comes to the actual tax return and not just the records supporting the return, the same guidelines as above apply. Three years is the minimum that returns should be kept, and just like above, when special circumstances come into play, the suggested time expands. State tax records should be kept for a minimum of four years according to Fox Business. The reasoning behind the extra year is because the state may not find out about an audit from the IRS within the three year time period. Not everyone agrees with the IRS guidelines. MarketWatch suggests that readers hold on to tax documents forever, citing that it is better to be safe than sorry when it comes to tax records. 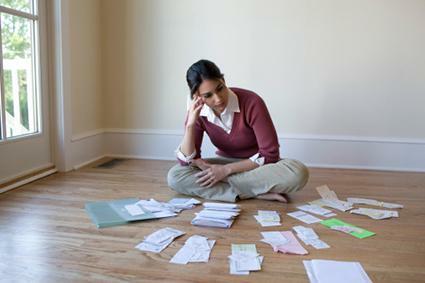 The idea is that you just may never know when you need to reference an old tax return or document for Social Security purposes or for another reason and finding copies of those documents elsewhere can prove problematic or impossible. Forbes suggests that tax records should be kept for reasons beyond tax purposes, stating that other entities (such as a mortgage company or insurance provider) may have specific requirements for how long you should hold on to certain documentation. In these instances, consult with the company or organization to find out how long you should hold on to the records. Hold on to tax records for at least three years, but keep in mind that additional circumstances may merit the files sticking around in your cabinet a little (or a lot) longer. Speak to a tax professional when you're unsure of how long a certain document should be retained.